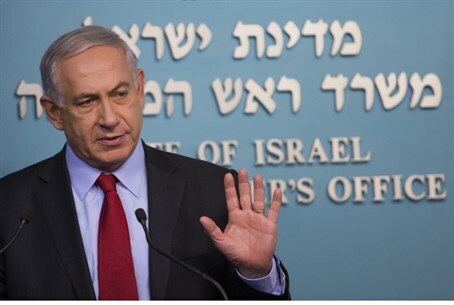 Prime Minister Binyamin Netanyahu reiterated in Sunday's cabinet meeting his calls for calm in Jerusalem. "I would like to send my best wishes for a full recovery to Yehuda Glick who was wounded by the bullets of a despicable would-be assassin,” he said. “I spoke with his wife and his father and I told them that along with the entire Jewish people, I am praying for Yehuda's recovery. I am certain that I speak for all ministers and very many of the Israeli people in this regard. “I would like to express great appreciation to the ISA and the Israel Police which, within hours, solved this crime and reached its perpetrator. Israel is taking vigorous action against terrorists and those who throw stones, fire bombs and fireworks. We will also pass stronger legislation on the issue. All of this is in order to restore quiet and security throughout Jerusalem. The prime minister added: “I have ordered that massive reinforcements be brought in and that additional means be used in order to ensure law and order in Israel's capital. It could be that we are in a lengthy struggle; however, we are determined to be successful. “We will certainly oppose all systematic and continuing attempts by Islamic extremist elements to stir up unrest. They would like to set a religious fire in Jerusalem and thereby ignite the entire Middle East. The place they are most determined on is the Temple Mount. They are disseminating lies to the effect that we intend to destroy or harm the Al-Aqsa Mosque and that we intend to prevent Muslim from praying there. They are using verbal and physical violence in an effort to exclude Jews from going up to the Temple Mount. We will not allow this to happen; neither will we alter the worship arrangements and the access to the Temple Mount that has been customary for decades. We are committed to the status quo for Jews, Muslims and Christians. “Since the time of our patriarch Abraham," said Netanyahu, "the Temple Mount has been the holiest site for our people. The Temple Mount is the most sensitive kilometer on earth. Alongside a strong insistence on our rights, we are determined to maintain the status quo. It is easy to start a religious fire, but much more difficult to extinguish it. These messages have been passed along as clearly as possible to [Palestinian Authority head] Abu Mazen, as well as to all elements in the area and among us. “What is necessary now is to calm the situation and to act with responsibility and restraint. This is always the case, but it is especially so now when the entire Middle East is awash in Islamic extremism. Just as important countries around us, important Arab countries, see eye-to-eye with Israel on the danger that extremist Islam poses to all of us. “Therefore, over the past 48 hours, I have held contacts with various elements, as well as with US Secretary of State John Kerry, in order to calm the situation. To this end, I also contacted Knesset Speaker Yuli Edelstein last night, and I appeal to MKs from all sides of the Knesset, and to my ministerial colleagues, these are especially sensitive times. Let us not play into the hands of our extremist enemies. “I think that what is necessary now is to show restraint and to work together to calm the situation. I ask that you join me in the effort to maintain the existing order, let nobody harm it, certainly not our right to go up to the Temple Mount, but we will not change the arrangements. I also ask that private initiatives be avoided as well as unbridled statements. At this time we must show responsibility and restraint."